Curry Laska is a pungent coconut and noodle based soup, made from a spicy fragrant paste. 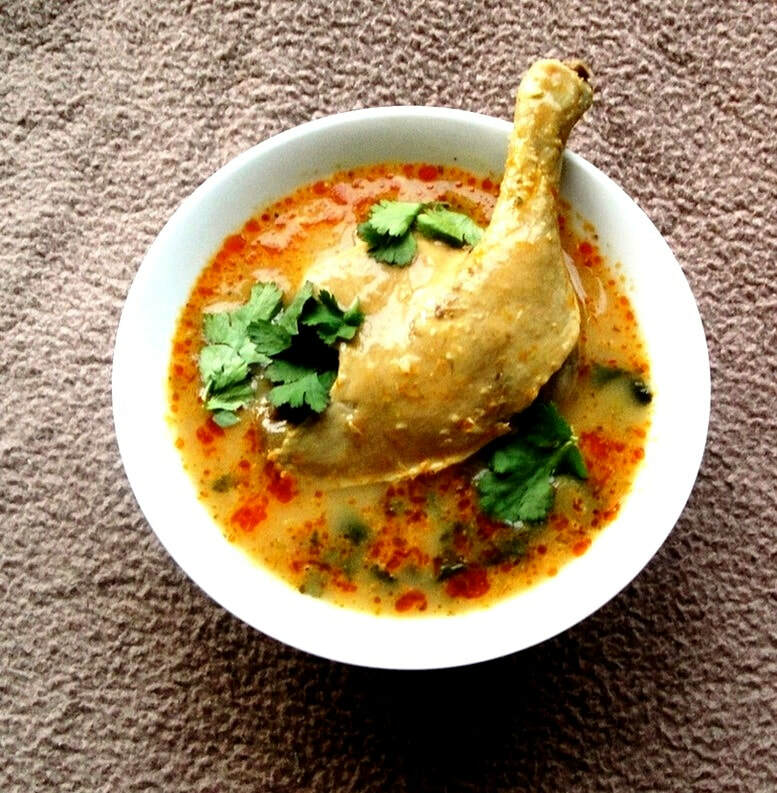 To me it's very similar to a Thai Curry, and is made using similar ingredients. 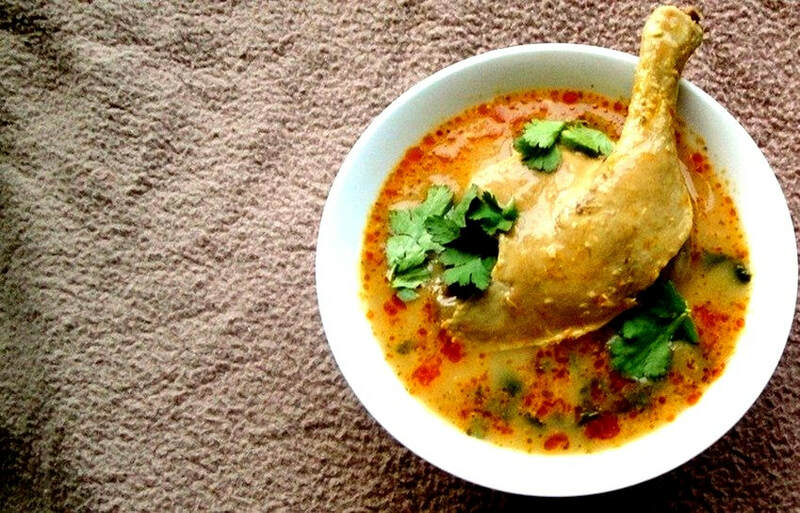 The Soup is very popular in Singapore, Indonesia, and Malaysia-where it is somewhat of a phenomenon. 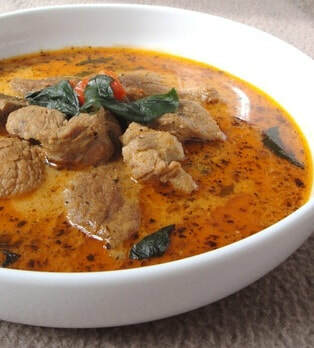 The are many different varieties of Laska, but in reality there are two distinct types. 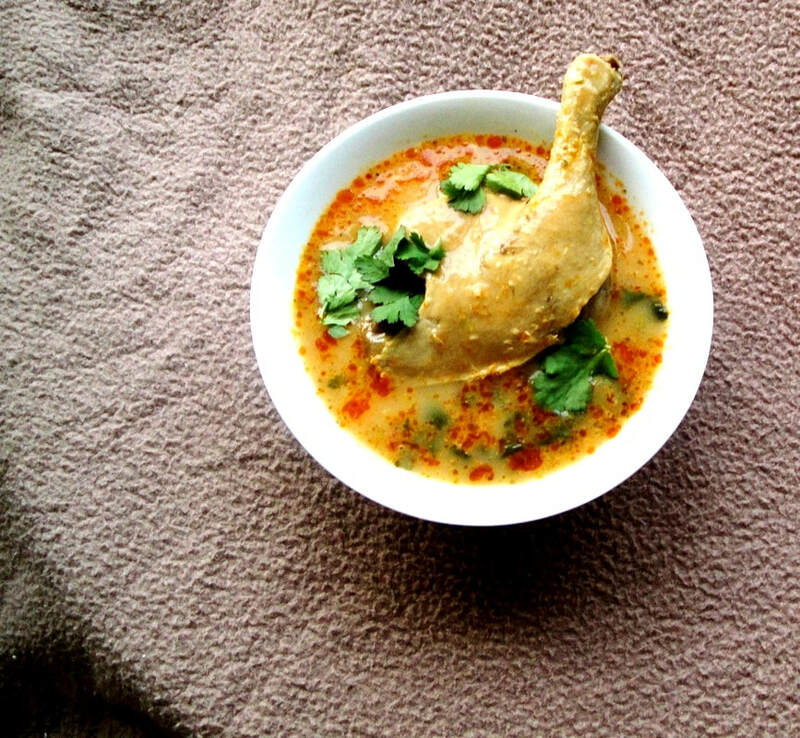 The foremost being this curry version, and the second being a spicy-sour fished based soup. 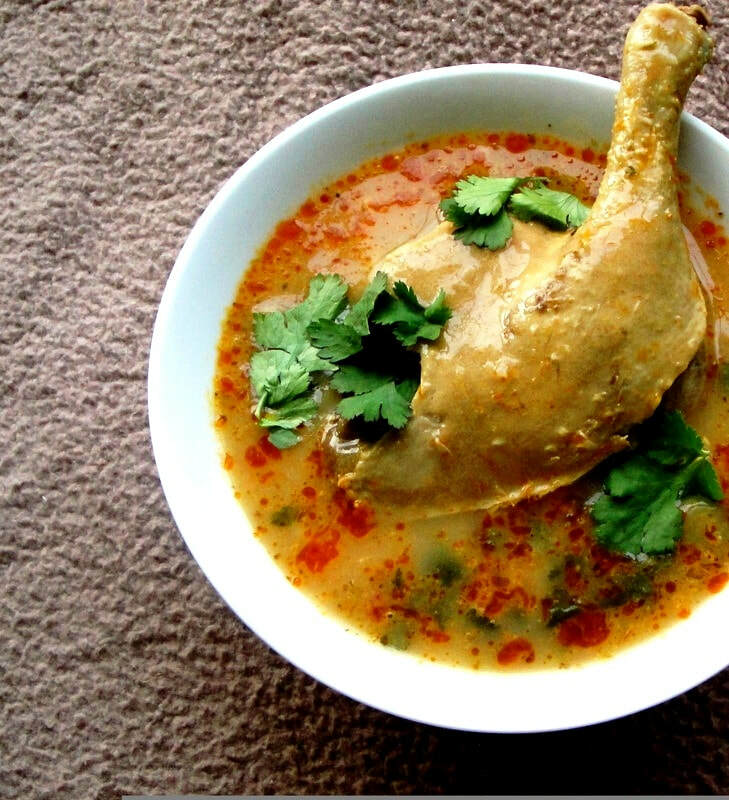 It is often eaten for breakfast in Malaysia, and has been voted one of the world's most delicious dishes. Curry Laksa's often contain an array of ingredients including shrimp, eggs, tofu, shredded chicken. But to be honest, I'm not a huge fan of tofu, and shredded bits of white chicken in a soup doesn't really do it for me. So, I decided to make my own version using Duck. 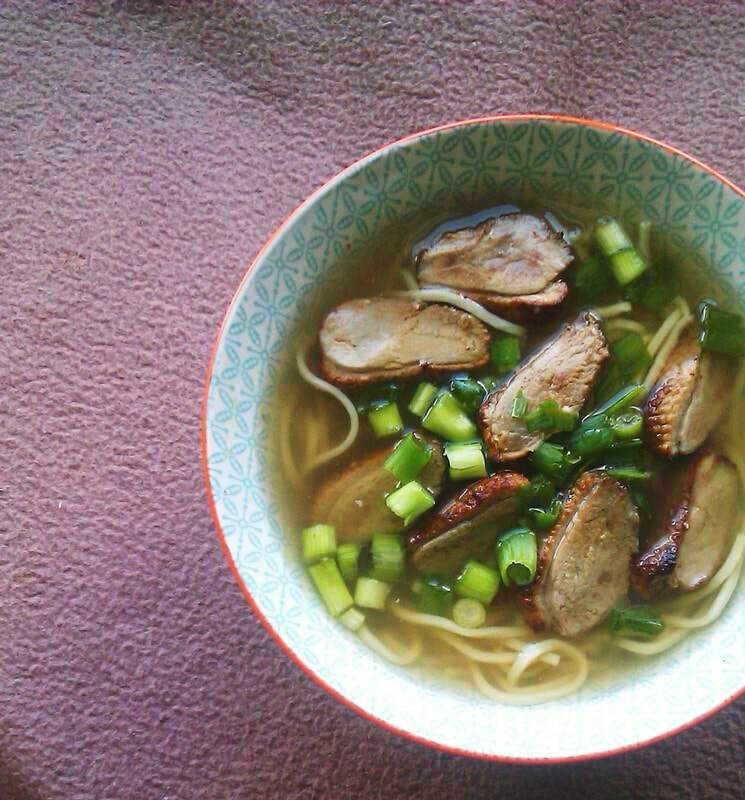 What I created was a delicious fragrant soup base, using the dark meat of duck to help flavour the broth. As long as you have the soup base right, you can add any meat, or seafood, you like. I used a store bought Laksa Paste. 6 tbs of Laksa Paste, 5 tbs of Vegetable Oil, 4 Duck Legs, (feel free to shred the meat afterwards) 2 Cups of Coconut Cream, 9 CUPS OF WATER (approximate), 5 tbs of Soy Sauce, 1 bunch of Cilantro, Salt and Pepper to taste, A handful of Egg or Wheat Noodles for each serving. 1 whole garlic sliced down centre, and 1 peeled yellow onion. 2 Chicken Stock Cubes. 1. Sprinkle the duck legs with 2 tsp of salt or to your taste, on both sides, then pour the soy sauce over the legs and rub into the duck. Place in an oven for twenty minutes roasting 10 minutes on each side. 2. In a large pot, add the cooking oil to the pan. Then turn stove on high and heat the oil. Once the oil is hot enough add the curry paste. 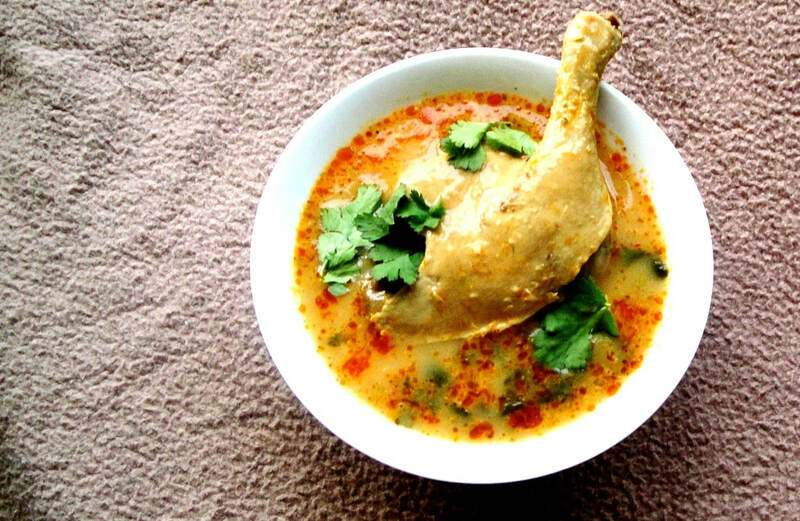 Cook the curry paste until it darkens and becomes more fragrant. You may need to turn down to medium if you feel the paste is burning. 3. Then add the water and coconut milk, and turn to high, stir the pot, add onion and garlic, chicken stock cubes, and boil for ten minutes. Then turn to a low simmer, and add the cilantro. Cover and Leave to cook. Once the duck has roasted for 20 minutes add to the pot and cover. Let simmer for about thirty five minutes. Check for salt and pepper as it cooks. 4. 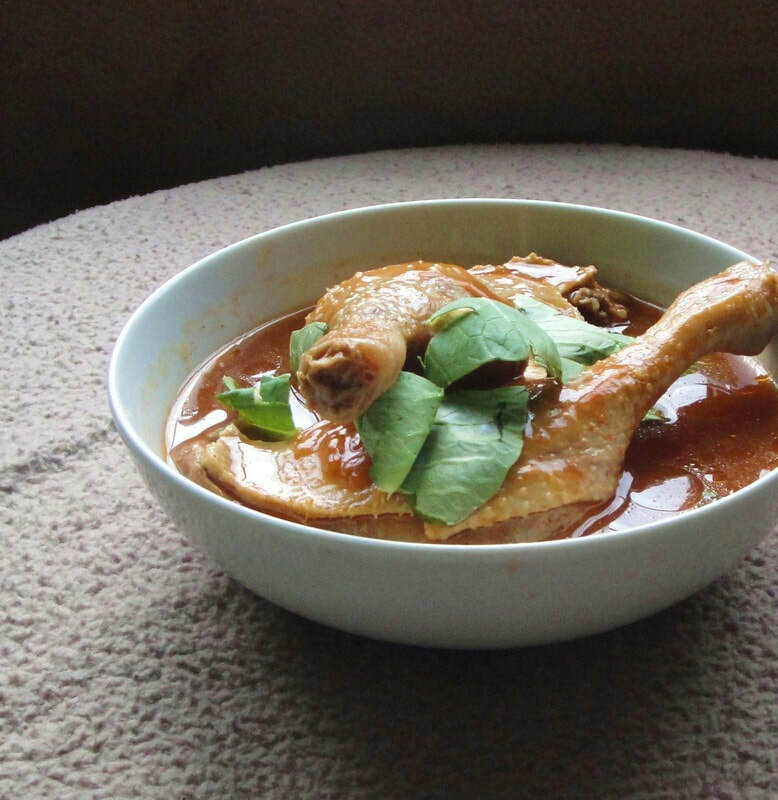 When the Duck Legs have almost finished cooking, place them back in the oven for ten minutes and serve with the soup. For the Noodles follow the instructions on the packet, or place them in hot salted water for five minutes. Serve by placing the Noodles in the bowl first, then ladle the bowl with the broth. 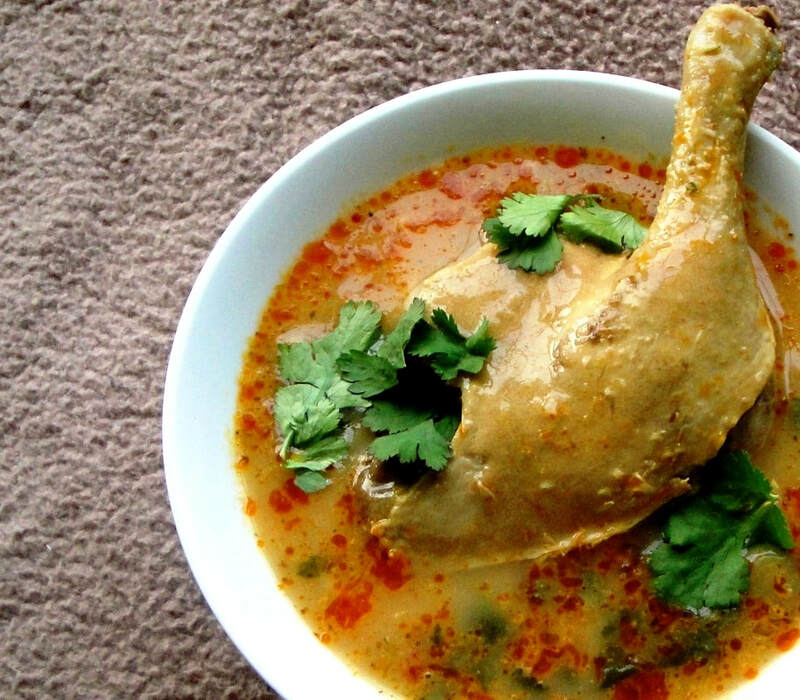 Place a duck leg on top and garnish with cilantro.